Our child care service is licensed for 28 children and we must ensure compliance across its operation. 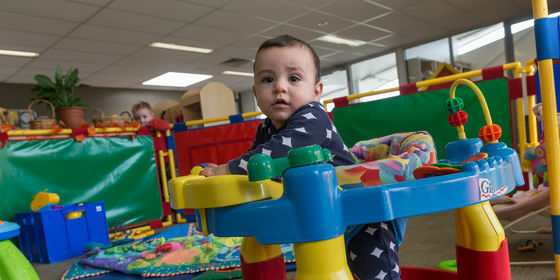 Bookings are essential and may be made through the Casey Race Child Care direct line on 5990 8605, during the hours of 9am – 1.30pm or through Customer Service on 5990 8600 outside of these hours. Bookings are taken on a weekly basis. Any bookings questions please feel free to call and speak with one of our friendly educators who will help you book in for your session. A parent or guardian must sign in and out using our iPad when dropping off or collecting their children. As per regulations no child will be given into custody of another person unless authorisation in writing has been given. The Casey RACE Child Care has children that attend with severe allergies and life threatening anaphylaxis. Due to this we have a ‘No Nut’ policy in place. This policy refers to foods such as nuts, muesli bars containing nuts and spreads such as peanut butter and Nutella. If your child suffers from anaphylaxis, allergies or asthma, you will need to book a time with our Child Care Team Leader to complete a risk management plan. This plan must be completed before the child can begin the kinder program. What should I bring to Kinder?